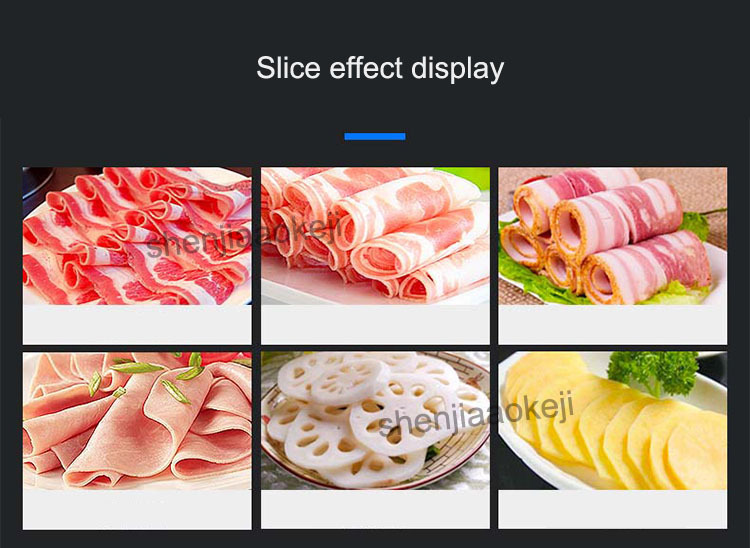 You can cut frozen meat rolls, cut potatoes, ham slices, lotus root slices, etc. 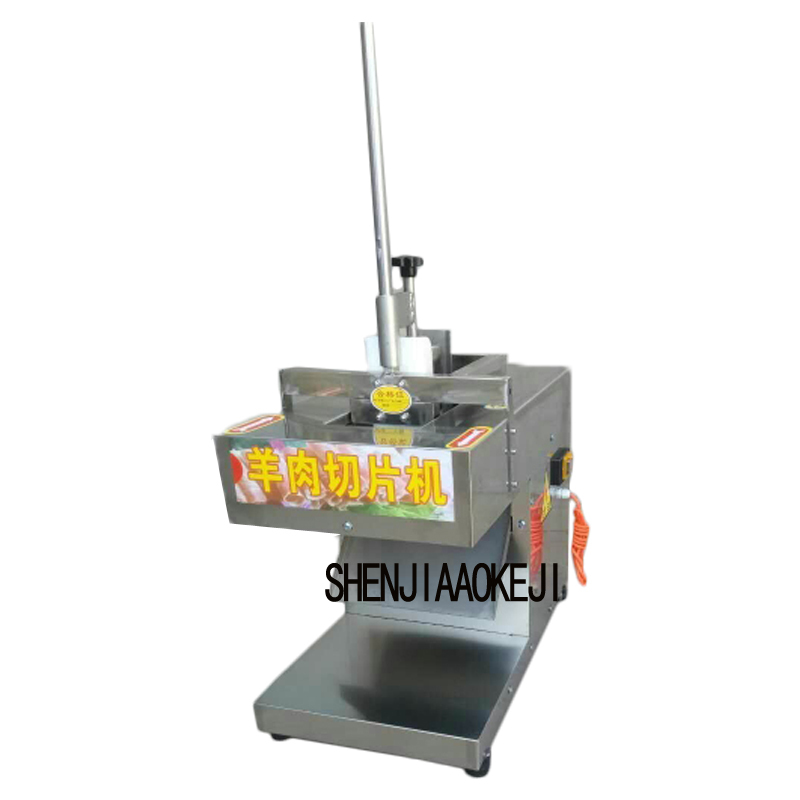 1.This product can cut meat taken out of the refrigerator and can be machined without thawing. 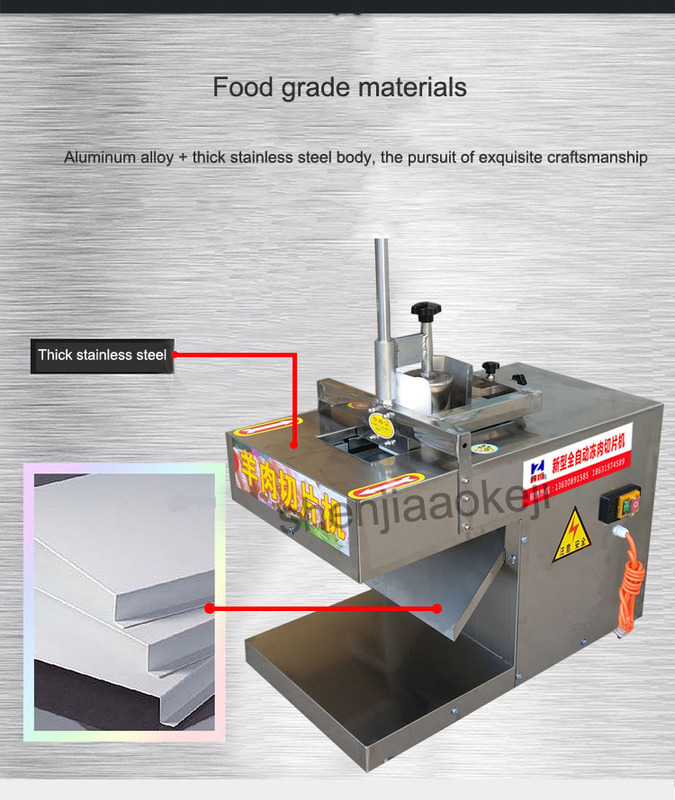 2.The machine blade adopts imported food grade stainless steel alloy blade, which has low cost, convenient replacement and more durability. 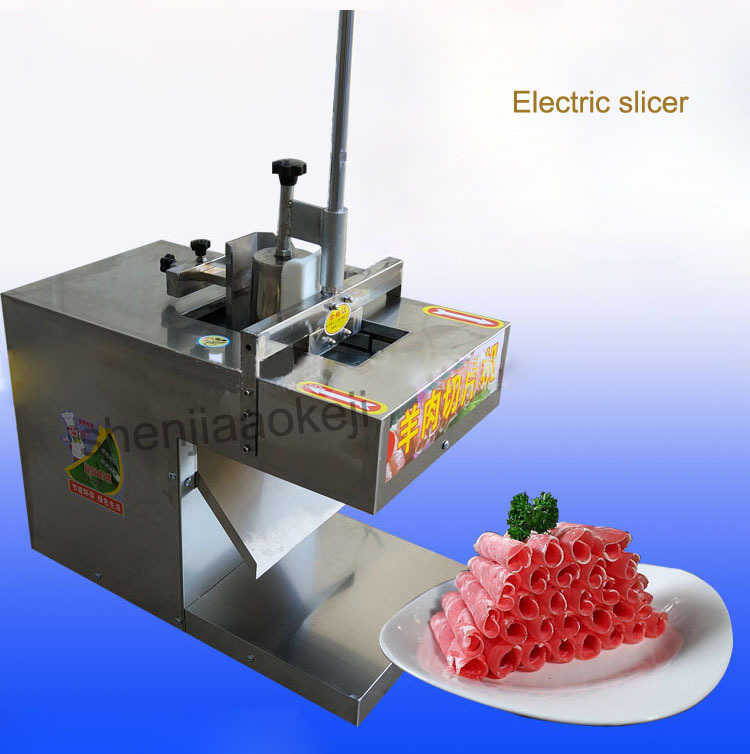 3.The efficiency of slicing is high, and the exchange of meat rolls is not stopped. 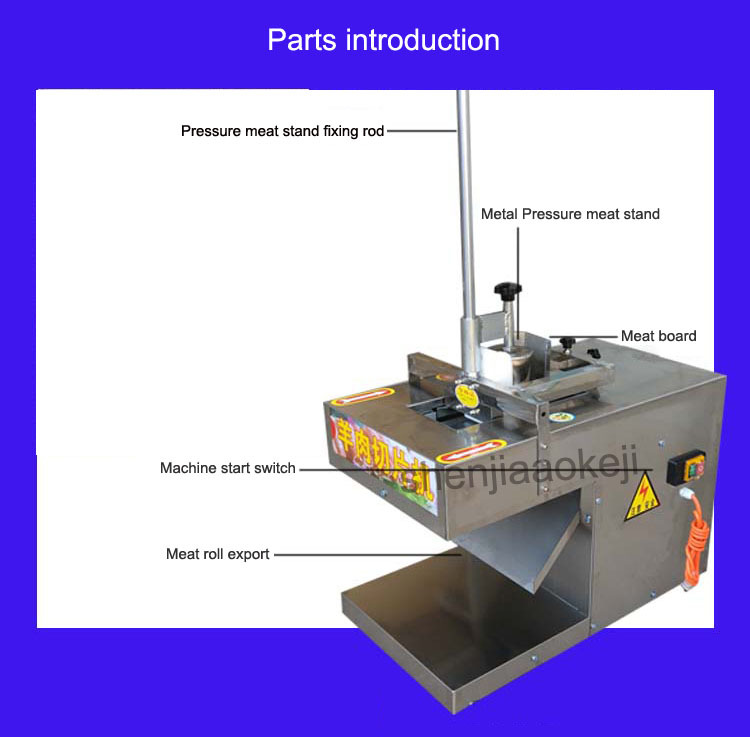 The output can reach up to about 50kg/h per hour, which is more suitable for cutting different kinds of frozen meat. 5.This machine adopts linear bearing guide design, long maintenance cycle, low wear rate, low failure rate and longer service life. 6.In addition to frozen meat, this machine can also slice potatoes and ham. Lotus root slices and other foods that need to be sliced. Please check that the power box is connected before use. 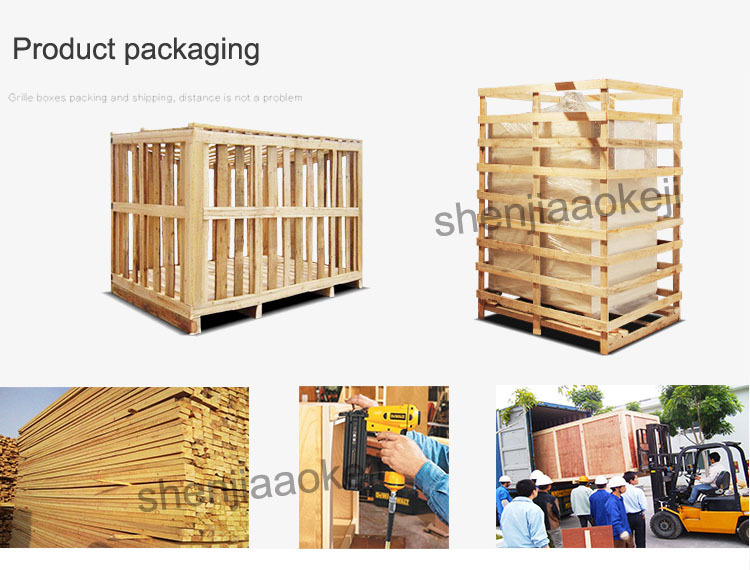 It must be connected to the ground wire to prevent leakage and check whether it is installed or not. Press the machine start switch to see if the running equipment is down normal or not, then shut down the machine and put it into the processing material. After use, clean up equipment and storage bin in time.